Gustavus Water Taxi, LLC offers dependable water taxi service, in a sturdy, fast, vessel designed to carry kayaks and camping equipment. You and your gear can be dropped off directly on the beach, and can schedule a time and place for your pick up. Whether base camping, or doing a longer paddle, check with Gustavus Water Taxi, LLC about your needs. Gustavus Water Taxi, LLC will take you where you would like to go around Gustavus, whether you are interested in kayaking, fly fishing, hiking, or taking a photo tour of the bountiful wildlife around Gustavus. Alaska's legendary Inside Passage is an intricate network of pristine waterways, granite fjords, and islands of astonishing beauty. 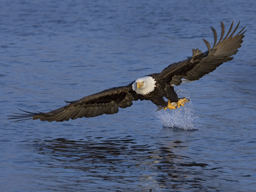 It is home to eagles, black and brown bears, humpback whales, orcas, deer and moose, mountain goats, stellar sea lions, sea otters, porpoises and harbor seals. 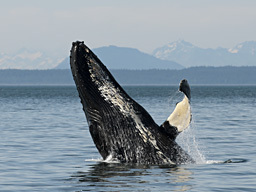 On your trip, we'll observe an incredible array of wildlife, and the breathtaking scenery of the Inside Passage. The captain will guide us to unique and tantalizing places that no cruise ship sails to. Adventure travelers of all ages will enjoy experiencing the wilderness of Alaska's Inside Passage with our captain and guide, Zach Stenson. Zach Stenson, the captain and owner of the FV Taurus, has been exploring the waterways of Southeast Alaska since he was old enough to walk. During his college summers he worked as a Kayak guide for Alaska Discovery, and paddled all around the Gustavus waters. He also signed on board as crew when he had time between trips on both pleasure yachts and commercial fishing vessels. After receiving a Masters Degree in Education in 2000, Zach began teaching at an elementary school in Juneau during the winters. This allowed him to continue messing around in boats during the summer. 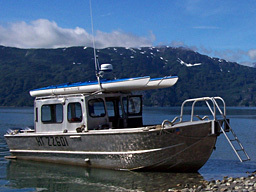 In 2004 Captain Zach purchased his first of four commercial fishing vessels. During the next 8 years Zach enjoyed fishing all around Southeast Alaska, and really fell in love with the northern coast of Southeast Alaska. In 2011 Zach sold the FV Deep Sea and purchased the FV Taurus from the builder, Doug Ogilvy. Zach now spends his summers running the water taxi, as well as fly fishing, kayaking, and hiking in between cabin building projects. Gustavus, Alaska is a homesteading community, and currently boasts nearly 500 residents! Gustavus is only a twenty-minute scenic flight from Juneau. Alaska Airlines operates a flight once per day between Juneau and Gustavus, throughout the summer. Several small flying services offer numerous additional flights to Gustavus from Juneau, including Air Excursions and Wings of Alaska. In order to operate our guided trips from this small community in Alaska, we have strong relationships with our friends and neighbors. We are proud of our long standing partnerships in and around Gustavus, and happy to recommend these fine businesses. We supply nearly everything necessary for your guided adventure or photography tour. You'll need to bring your clothes and a few personal items, including raingear and rubber boots. If you're planning to bring beer or wine for your personal consumption, please discuss this with us prior to your departure. You should also bring a small daypack or camera backpack for your camera and personal items. We can provide temporary storage for any luggage you can't take on the trip. © 2019 Gustavus Water Taxi, LLC. All Rights Reserved.